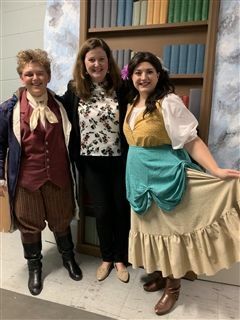 Three Cascians participated in Theatre Tulsa’s “Beauty and the Beast." Jack Maricle '20 played LeFou, Sara Bingman Phoenix '95 was the Director, and Lauren Steele 03 was in ensemble. The show ran for four weekends from January 11 through February 3, 2019. Many shows were sold out.